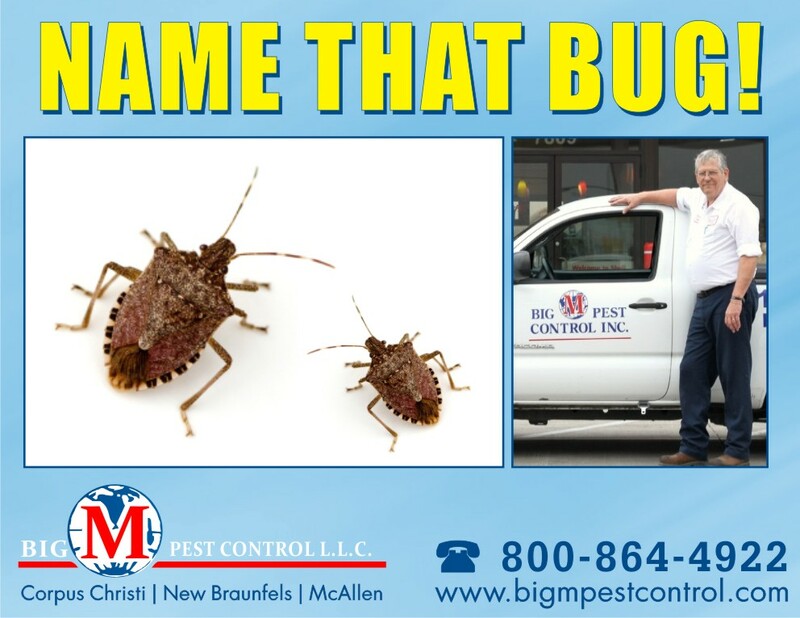 THE BROWN STINK BUG: Accidentally introduced into the US from China and Japan it was first reported in 1998 in Allentown, PA. It has been found to be a pest of fruits, vegetables and other farm crops in the Mid-Atlantic States. It is being watched closely by the Texas agricultural community to see if it will have a negative impact on certain crops. The stink bug does not reproduce or feed indoors. When crushed or disturbed it emits a “stinky” fluid. Hence, the name stink bug. Currently it is not recommended to use specific store bought pesticides on the brown stink bug. Please contact our Big M Pest Control offices for information on how to contain these outside insects.